Hanoi (VNA) - Deputy Prime Minister Truong Hoa Binh has urged ministries and agencies to boost efforts to assist victims of the toxic spill by the Taiwanese Hung Nghiep Formosa Ha Tinh Steel Co. Ltd.
At a meeting with the ministries of agriculture and finance on November 16 to discuss compensation for individuals and businesses affected by the mass fish deaths in April, he said the Thua Thien-Hue, Quang Tri and Ha Tinh provinces had conducted the first phase of the compensation programme. Under a decision in September, the list of individuals and businesses eligible for assistance includes fishermen, owners of fishing boats and their employees, owners of and workers at seafood cold storage facilities, fish sauce and shrimp paste businesses, and fish and shrimp farms. The deputy PM asked the people’s committees of the four central provinces, where fish died en masse due to environmental pollution, to calculate the losses for other victims and report to the Ministry of Agriculture and Rural Areas (MARD). The MARD and the Ministry of Finance would determine the additional compensation required according to the localities’ reports before submitting their own report to the prime minister for approval. Ministries, agencies and localities were requested to handle stockpiled seafood, while the Ministry of Natural Resources and Environment was tasked with destroying unsafe seafood within this month. Its owners would receive financial support equivalent to 100 percent of the value of the discarded volumes of seafood, he said. The Ministry of Industry and Trade would instruct Hanoi, HCM City and businesses to sell the safe frozen seafood. Enterprises trading these products would receive support for managing electricity costs and interest rates on existing loans, while those who stockpile seafood would receive financial support equivalent to 30 per cent of the value. He asked the Ministry of Health to take samples of seafood caught within 20 nautical miles of the seabed for testing and announce the results by the end of next month. He also underscored the need to increase communication in seeking public consensus on the government’s compensation efforts. 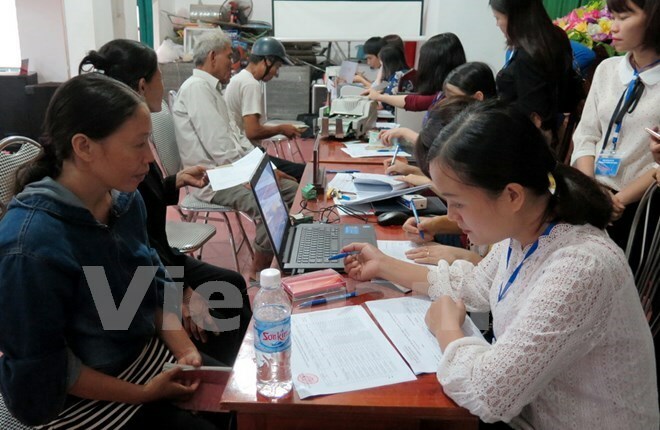 Late in June, Formosa Ha Tinh accepted responsibility for the mass fish deaths in the central provinces of Ha Tinh, Quang Binh, Quang Tri and Thua Thien-Hue and pledged to provide compensation of over 11.5 trillion VND (500 million USD) to support the local fishermen and help restore the now-polluted marine environment.